So yeah, I don't really like that style. But after seeing Rizman Ruzaini's collection the other day, all of a sudden, magic happened and I realized that I do like that fashion now! That's the power of Rizman Ruzaini's touch! hehehe.. It could change my liking instantly! 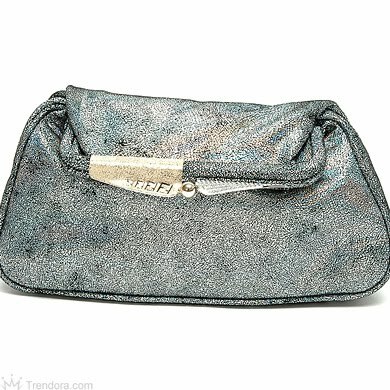 Hence, I bought one for myself.. Just thought of trying this fashion, and change my sense of style a bit.. 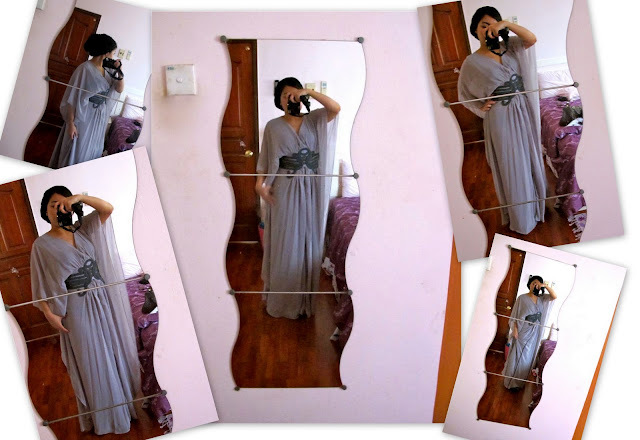 This, is a light grey kaftan dress with embroidery at the front and a loooong bow at the back. I could wear this dress with my fave shoes in the world, and my Fendi Hologram Suede Clutch. Mmm-hmm.. I really wish they open one store in here..
masa tengok kat rumah hari tu macam tak perasan sgt dress ni cantik. bila dah pakai baru nampak cantik. and u look tall in it!